[S202] Kent Parish Records, Headcorn, Kent. Baptisms 1560-1899. Portsea Island. RG10 piece 1148 folio 24 page 46. [S89] Family Search, England & Wales, National Probate Calendar (Index of Wills and Administrations), 1861-1941. [S34] Unverified internet information, 1837.com. [S117] The Times Newspaper, Tuesday, Dec 07, 1971. [S117] The Times Newspaper, Sep 26, 1936. [S232] Ancestry.com, Quebec Vital and Church Records (Drouin Collection), 1621-1967. Montréal (Anglican Christ Church Cathedral, Actes), 1808. [S232] Ancestry.com, Quebec Vital and Church Records (Drouin Collection), 1621-1967. Montréal (Anglican Christ Church Cathedral, Actes), 1828. [S232] Ancestry.com, Quebec Vital and Church Records (Drouin Collection), 1621-1967. Québec (Anglican) (Québec (Anglican Cathedral Holy Trinity church)), 1846. [S232] Ancestry.com, Quebec Vital and Church Records (Drouin Collection), 1621-1967. Québec (Anglican) (Québec (Anglican Cathedral Holy Trinity church)), 1848. [S522] Gordon A. Morley and William J. Park, Mount Hermon Cemetery, H357. [S232] Ancestry.com, Quebec Vital and Church Records (Drouin Collection), 1621-1967. Montréal (Anglican Christ Church Cathedral, Actes), 1844. 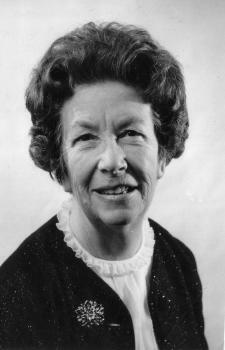 THE LATE S. C. SEWELL, M.D., L.R.C.S., Edin. It is with deep regret, and sympathy for his afflicted widow, that we announce the death of Stephen Charles Sewell, M.D., &c., which lamentable event took place at his residence, in Ottawa City, C.W. Dr. Sewell was a son of the late Solicitor General for the Lower Province, and nephew of the late Chief Justice Sewell, of Quebec. He studied in Edinburgh, and during his pupilage was elected President of the Royal Medical Society of that city. He commenced practice in Montreal about the year 1836 or 1837. In 1842 he was elected Lecturer on Materia Medica McGill University, and Attending Physician Montreal General Hospital, which posts he held up to the year 1848, when he resigned, and left our city. In 1850, on his return to Montreal, he again became attached to the faculty of Medicine McGill College, and to the Staff of the Hospital, and lectured on Clinical Medicine up to the year 1852, when he removed to Ottawa. Dr. Sewell has contributed several papers of value to medical periodicals, and in the pages of our Journal he published, from time to time, the results of his observations. In manner he was kind and affable; as a lecturer he was clear and painstaking. His views on medicine were sound; and though perhaps not brilliant as a teacher, yet he possessed that gentlemanly deportment which endeared him to his pupils. As a practitioner, be possessed a pleasing manner which inspired confidence. His death, though not sudden, was unexpected. Although his health had been failing for several years past, yet no serious apprehensions were entertained of a fatal result, until about a week before the event. Canada Medical Journal and Monthly Record, Volume 2, p. 334. [S232] Ancestry.com, Quebec Vital and Church Records (Drouin Collection), 1621-1967. Montréal (Anglican Christ Church Cathedral, Actes), 1814. [S79] Edward Marion Chadwick, Ontarian Families, Vol. II p. 85. [S232] Ancestry.com, Quebec Vital and Church Records (Drouin Collection), 1621-1967. Montréal (Anglican Christ Church Cathedral,Actes), 1840. [S392] Website findagrave.com (http://www.findagrave.com/) "#108198054." [S232] Ancestry.com, Quebec Vital and Church Records (Drouin Collection), 1621-1967. Montréal (Anglican Christ Church Cathedral,Actes), 1841. [S232] Ancestry.com, Quebec Vital and Church Records (Drouin Collection), 1621-1967. Montréal (Anglican Christ Church Cathedral, Actes), 1845. [S232] Ancestry.com, Quebec Vital and Church Records (Drouin Collection), 1621-1967. Montréal (Anglican Christ Church Cathedral, Actes), 1847. [S232] Ancestry.com, Quebec Vital and Church Records (Drouin Collection), 1621-1967. Lennoxville (Church of England), 1849. The younger son of a prominent loyalist who was the last British attorney general of Massachusetts, Stephen Sewall was only five when his family emigrated to England at the beginning of the War of American Independence. In 1778 the Sewells settled in Bristol, where Stephen attended grammar school and at home absorbed his parents' fear of democracy and their fervent desire that he and his elder brother, Jonathan, recoup what the family had lost in America. In 1787 Stephen and his parents recrossed the ocean to join Jonathan, who had earlier immigrated to Saint John, New Brunswick. Stephen followed his brother into the legal office of Ward Chipman, and was called to the New Brunswick bar in 1791. Like Jonathan before him, he decided – later that year – to seek his fortune in the larger colony of Lower Canada, whose governor was Lord Dorchester (Guy Carleton), patron of the loyalists. This decision evinced a permanent character trait: the desire to model his career after that of his elder brother. To the latter he had confessed in 1790, "It has been always my ambition to follow as nearly in your footsteps as I was capable and beleive me it always will be." After obtaining his commission as a lawyer on 16 Dec. 1791, Sewell established himself in Montreal and began the pursuit of clients, who would soon include many of the leading merchants and wealthier seigneurs. By 1805 he had one of the most flourishing practices in the city, and from it he reputedly drew between £600 and £800 a year. He was less fortunate in his many business investments, among them the Company of Proprietors of the Montreal Water Works, at least one high-risk venture to the West Indies in 1816–17, and extensive speculation in real estate in Lower Canada; he acquired 1,000 acres of land in Grenville Township in 1797, was granted 3,200 acres in Hemmingford Township in 1811, and owned land in Montreal. Sewell was a staunch adherent of the English party in Lower Canada, and his most notable enthusiasm was ferreting out spies and revolutionaries. Like many others of his party during the wars against revolutionary France, he was convinced that at the appearance of even the smallest French force the Canadians would rise in arms and massacre the British minority. In the aftermath of riots against militia service in 1794 he was one of the organizers of cartridge making and other preparations to defend Montreal against what proved to be a phantom horde of armed habitants. During disturbances protesting the road act of 1796 Sewell believed the story of Montreal tavern-keeper Elmer Cushing that Citizen Pierre-Auguste Adet, the French minister to the United States, had come in person to Montreal to hatch a "plan for the extirpation of the English." With more reason he accepted his informer's claim that one of Adet's agents had attempted to recruit a fifth column. Sewell hurried Cushing down to Quebec to see his brother, then attorney general. Promised an entire township for his evidence, Cushing swore a deposition describing the activities of the agent, David McLane. McLane was arrested in the capital in May 1797, convicted of treason in July, and on the 21st of that month hanged, beheaded, and disembowelled as an example to others. Sewell remained nervous and alert throughout the Napoleonic period. In 1801 he convinced himself that the parish priests north of Montreal were conspiring to aid a leader of the Canadian party in the House of Assembly, Joseph Papineau, in his determination "to (be) a Buoniparte in this province." A series of fires in the city during the summer of 1803 was put down to the "great design which the Emissaries of France have on this Country," Sewell having earlier decided that Napoleon would "make every possible Exertion to land troops in the Province" and that "the Canadians will join them in numbers." "Heaven only knows," he concluded, "if we do not stand On the brink of destruction." In 1801, and again during a political crisis in 1810, he employed a Canadian informer to report on disloyalty among the captains of militia. Sewell himself joined Montreal's 1st Militia Battalion, a British unit, as an ensign about 1803; he became a captain in 1812. An attempt in 1814 by Canadian lawyers to establish an advocates' society – which Sewell helped to abort– was characteristically interpreted as the work of "Jacobins." Sewell made sure that Jonathan and, through him, the governor were kept informed of his activities, for visible loyalty was a common route to the government posts he coveted. Sewell's longstanding efforts, and those of his brother, who became chief justice in 1808, succeeded the following year when he was named by Governor Craig to replace James Stuart, recently dismissed for political unreliability, as solicitor general of Lower Canada; the office was worth about £1,700 a year in salary and fees. In November 1809 Sewell won a seat in the House of Assembly for Huntingdon County along with a leader of the Canadian party, Jean-Antoine Panet. The contest had been hotly disputed: after 15 days of polling Panet obtained 897 votes to Sewell's 895, and the loser, Augustin Cuvillier, protested Sewell's election in February 1810. However, Craig dissolved the legislature on 1 March, and in the subsequent elections Sewell was returned along with Joseph Papineau in Montreal East, Stuart being a defeated candidate. Like many others of his circle, Sewell thought Craig's imprisonment of certain Canadian political leaders in March – the so-called Reign of Terror – an heroic and infinitely wise act of statesmanship, but he was soon disappointed to learn that the imperial authority had quietly repudiated any further aggressive actions, including enforcement of claims to royal supremacy over the Roman Catholic Church and a proposed suspension of the constitution. As usual Sewell and his friends proved to be more imperialist than the imperial government. In 1811 Craig was replaced by Sir George Prevost, who, requiring the support of the population as war with the United States loomed, adopted a conciliatory policy towards Canadian leaders. 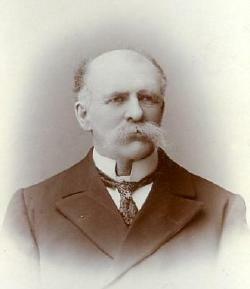 Sewell and his colleagues in the English party were outraged by the resulting deprivation of influence and patronage they suffered. They responded in part with a series of vitriolic letters to the Montreal Herald in 1814–15 attacking Prevost's civil and military administration. The most damning letters, signed Veritas, attributed the British retreats from Sackets Harbor, N.Y., in 1813 and Plattsburgh in 1814 to cowardice and stupidity on Prevost's part. Suspicious, despite Sewell's denials that he had authored the letters, the governor cleverly ordered him to prosecute the printer and the editor of the Montreal Herald for criminal libel. The editor, Mungo Kay, thereupon revealed that Sewell had written and brought to him in great secrecy an unsigned article entitled "Particulars of the late disastrous affair on Lake Champlain," which was published shortly after the Plattsburgh débâcle. Sewell admitted authorship but asserted that the piece was simply a review of the facts. Although the article was less explicitly critical than the polemics of Veritas, its conclusion left little doubt about what the writer thought of Prevost's strategy. "A few minutes more would have given up the fortifications . . . into our hands, and every American must have fallen, or been made prisoner," he wrote. Instead, "it was thought necessary to check the ardor of the troops" and control of the lake was lost. Sewell was suspended from office immediately, and in July 1816 he was dismissed by Governor Sir John Coape Sherbrooke following a report on the matter by the Executive Council. Thereafter a great deal of Sewell's energy was expended in seeking rehabilitation. The chief justice operated under a standing injunction to work for his brother's interest whenever an office remotely suitable became vacant and to work fast, since, as Stephen put it in 1825, "there is no time ever to be lost in looking after Appointments." Jonathan pleaded with Governor Lord Dalhousie (Ramsay) to restore the office of solicitor general to his brother, but to no avail. Nor could he, despite repeated attempts, satisfy Stephen's most cherished ambition, which was to follow him to the bench. The chief justice seems, however, to have been able to influence the granting of some minor posts and honours. In any case Sewell was named secretary to boundary commissioner John Ogilvy (1817), a warden of the House of Industry in Montreal (1818), a commissioner for the repair of the Montreal prison (1819), and a commissioner for the construction of the Lachine Canal (1821). As secretary to Ogilvy, Sewell kept a journal of the boundary commission's work between May and September 1817 along the St Lawrence River from Saint-Régis to Cornwall, Upper Canada. In it he recorded meteorological observations and commented on geological structures, soil conditions, flora, and fauna. He also had a clear eye for revealing details of social life. Thus he remarked that Highland settlers made poor farmers but good militiamen, that it was the women who ran the farms – "in fact they are the supports of their husbands and families" – and that their daughters furnished Montreal with servants. He saw that "the manners of the St Regis Indians are fast changing to European their dress resembles the Canadians." Although the immigrants who passed by in bateau loads on the St Lawrence on their way to Upper Canada were not dressed in rags, there was an "appearance of great want amongst them," and he noted that "they frequently lament having quitted their own country." Their plight touched him, and he found it "a subject of great regret that Government in times of such extreme pressure should have deemed it proper to deprive the new settlers of their rations." He was also highly attentive to economic trends as trade with Upper Canada expanded and the machine age dawned in the colonies. Thus, he observed that Lower Canadian villages such as Vaudreuil, Les Cèdres, and Coteau-du-Lac could be developed around mills and factories using water-driven machinery, and that transportation procedures could be made more efficient on the heavily used section of the St Lawrence between Cornwall and Montreal. In Montreal Sewell was active in community affairs. Early in the century he served on a committee for the erection of Christ Church. In 1820 he acted as the senior attorney of the Royal Institution for the Advancement of Learning to negotiate the transfer from James McGill's estate of the Burnside property on which McGill College was to be built. He was a principal founder seven years later of the Natural History Society of Montreal, of which he became president. In 1828 he was among the founders of a lawyers' library, which became the Advocates' Library and Law Institute of Montreal in 1830 and ultimately the Montreal bar library; he also served as the library's first president. As a lawyer Sewell could not equal his brother's ability to go quickly to the nub of a complicated legal problem or to ground a conclusion in general principle as well as precedent. He was able, however, to weigh both sides of a case intelligently; he prepared thoroughly and was well read in both the common and the civil law systems. Sherbrooke's unfavourable opinion of Sewell's capacities at the time of his dismissal can probably be discounted; the lawyer's clientele suggests high competence, and La Minerve, which was hardly sympathetic politically, observed after his death that his "knowledge of law made him one of our leading jurists." In 1827 Dalhousie had appointed him a king's counsel. His talent as a lawyer and his loyalty were much in demand in the spring of 1832 following an election riot in Montreal West during which regular troops had fired on a crowd, killing three Canadians. He acted as legal adviser to the commanding officers, Lieutenant-Colonel Alexander Fisher MacIntosh and Captain Henry Temple, and in his capacity as king's counsel and doyen of the Montreal bar he later assisted in the deliberations of the Court of King's Bench that resulted in the freeing of the two officers, an outcome ardently desired by Governor Lord Aylmer (Whitworth-Aylmer). [S58] Various Editors, Dictionary of Canadian Biography. [S232] Ancestry.com, Quebec Vital and Church Records (Drouin Collection), 1621-1967.Montréal (Anglican Christ Church Cathedral,Actes), 1801. [S232] Ancestry.com, Ontario, Canada Deaths, 1869-1934, York, 1924. [S232] Ancestry.com, Quebec Vital and Church Records (Drouin Collection), 1621-1967. Westmount (United Church, Melville), 1929. [S232] Ancestry.com, Quebec Vital and Church Records (Drouin Collection), 1621-1967. Montréal (Anglican Christ Church Cathedral, Actes), 1933. Stephen William Sewell was born on 18 September 1833 in Québec.1,2 He was the son of Col. John Saint Alban Sewell and Margaret Hobbs.3 Stephen William Sewell was baptised on 29 November 1833 at Québec.2 On 9 November 1855 he was commissioned into the 86th Regiment of Foot (Royal County Down), appointed Lieutenant (without purchase) in the 97th Foot. He served in Central India under Sir Hugh Rose, and was present at the siege, storm and capture of Chandaree, the battle of Betwa River (31 March 1858), he was severely wounded on 3 April 1858 in the final attack on the breach in the walls of Jhansi. He was mentioned in despatches for his bravery and conduct in the siege. [S378] Pierre-Georges Roy, Fils de Québec, quatrième série, p. 131. [S232] Ancestry.com, Quebec Vital and Church Records (Drouin Collection), 1621-1967. Québec (Anglican) (Québec (Anglican Cathedral Holy Trinity church)), 1833. [S134] H.G. Hart, Army List, 1860, p. 326. [S378] Pierre-Georges Roy, Fils de Québec, quatrième série, p. 131-132. [S205] Newspaper, Morning Post, 10 Nov 1855. [S378] Pierre-Georges Roy, Fils de Québec, quatrième série, p. 132. [S392] Website findagrave.com (http://www.findagrave.com/) "# 88058975." [S232] Ancestry.com, Quebec Vital and Church Records (Drouin Collection), 1621-1967. Montréal (Anglican Christ Church Cathedral, Actes), 1818. [S232] Ancestry.com, Vital and Church Records (Drouin Collection), 1621-1967. Montréal, Anglican Christ Church Cathedral, 1847. [S232] Ancestry.com, Michigan, Births and Christenings Index, 1867-1911. [S89] Family Search, Wisconsin, Death Index, 1959-1997. 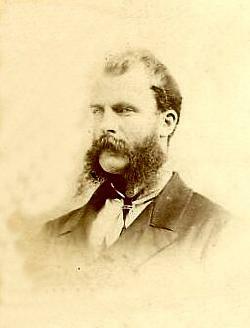 Died at Quebec on the 8th of August, William Grant Sewell. Mr. Sewell was born at Quebec, in 1829, and was educated for the bar. His grandfather, the late Jonathan Sewell, had been Chief Justice of Lower Canada. In the year 1853, he came to this city, and adopted journalism as his profession. He became translator and law reporter for the Herald, and discharged the duties of those posts with ability. Some six years since he left this paper and joined the editorial staff of the Times, remaining connected with that journal until January last, when his health compelled him to abandon work and go home to die. Four years ago he was attacked with tubercular consumption. Such was the strength of his constitution, and so vigorously did he struggle against the advances of the disease, that it was not until within a few months that his friends abandoned hope of his recovery. By the advice of his physician, he spent three winters in the west Indies, and beguiled his leisure by writing his "Orderly of Free Labour in the British West Indies," by far the best book which has appeared on the subject of emancipation - a work so dispassionately and honestly written, that both pro and anti-slavery partisans have claimed the author as an ally, and both have drawn largely from its pages for arguments in the slavery controversy. His death has deprived the New York press of an able, honest, and most industrious member; it has robbed a very large section of journalists of an affectionate, faithful, and whole-souled friend. New York Herald. We notice with deep regret the death of a young Canadian, who had already made his mark in literature, and who, had he been spared, would have risen very high in the scale of authorship. Of retiring habits, he felt himself unfitted for the rough-and-tumble of a lawyer's career, and his sound judgment, good taste, and excellent education, found apparently their appropriate employment in journalism, and in the more ambitious work which is noticed above. As the Herald says, Mr. Sewell's book on free-labour in the West Indies, - dedicated to Mr. Hincks, who showed great kindness to the invalid author when in the Bahamas, - was written in an eminently philosophic and impartial spirit, but yet with the warmest sympathies for oppressed and down-trodden humanity. It was warmly greeted by the English press, and it is universally regarded as a book having authority - by none more so than those who knew the author and appreciated the soundness of his judgment and the purity of his aspirations. Mr. Sewell was a member of a family noted for its ability, and had he lived, none of them would have risen higher than he. - Globe. [S378] Pierre-Georges Roy, Fils de Québec, quatrième série, p. 100. [S232] Ancestry.com, Quebec Vital and Church Records (Drouin Collection), 1621-1967. Québec (Anglican) (Québec (Anglican Cathedral Holy Trinity church)), 1829. [S26] Hector Livingston Duff, Sewells in the New World, p.90. [S378] Pierre-Georges Roy, Fils de Québec, quatrième série, p. 101. [S232] Ancestry.com, Quebec Vital and Church Records (Drouin Collection), 1621-1967. Québec (Anglican) (Québec (Holy Trinity church)), 1862. [S522] Gordon A. Morley and William J. Park, Mount Hermon Cemetery, Q279. [S232] Ancestry.com, Quebec Vital and Church Records (Drouin Collection), 1621-1967. St-Jean-sur-Richelieu, 1843. [S232] Ancestry.com, Quebec Vital and Church Records (Drouin Collection), 1621-1967. Québec (Anglican) (Québec (Holy Trinity church)), 1866. [S454] Website Archives nationales du Québec (http://pistard.banq.qc.ca) "Registre d'inhumation du Mount Hermon Cemetery, 1848-1904." [S232] Ancestry.com, Quebec Vital and Church Records (Drouin Collection), 1621-1967. Québec (Anglican) (Québec (Anglican Cathedral Holy Trinity church)) > 1837. [S232] Ancestry.com, Quebec Vital and Church Records (Drouin Collection), 1835. [S232] Ancestry.com, Quebec Vital and Church Records (Drouin Collection), 1621-1967. Québec (Anglican) (Québec (Holy Trinity church)), 1911. [S522] Gordon A. Morley and William J. Park, Mount Hermon Cemetery, W42. [S392] Website findagrave.com (http://www.findagrave.com/) "# 86287672." [S232] Ancestry.com, Quebec Vital and Church Records (Drouin Collection), 1621-1967. Québec (Anglican) (Québec (Anglican Cathedral Holy Trinity church)), 1836. [S117] The Times Newspaper, Aug 17, 1912. [S117] The Times Newspaper, Sep 25, 1935. Zébée Edith Sewell was born on 18 December 1904 in Lahore Cantonment, Mian Mir, India. She was the daughter of Colonel Evelyn Pierce Sewell C.M.G., D.S.O., M.B., BCh., F.R.C.S. and Zébée Maud Jessie Crombie. Zébée Edith Sewell married Brigadier Vivian Wellesley Rees OBE, son of Dr. Daniel Rees M.A., Ph.D. and Elizabeth (Bessie) Mary Davies, on 17 May 1930 in The Cathedral Church, Portsmouth, Hampshire.1 Zébée Edith Sewell died on 23 December 1995 in Hindhead, Surrey, England, at the age of 91 in a nursing home, Huntington House, of a cerebrovascular accident. Her first stroke had occurred in Folkestone a few months earlier. Funeral at the Parish Church of St. Mary, Chiddingfold, 12 January 1996, where her ashes were subsequently interred. [S117] The Times Newspaper, Notice of marriages.